Tamara Lundgren of Schnitzer Steel Industries sees several new industry challenges elbowing out some of the previous ones. 02/26/19 Schnitzer recognized as one of the World’s Most Ethical Companies® for the fifth year in a row. 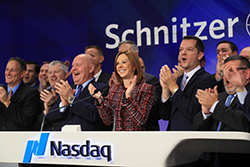 11/14/18 Schnitzer celebrated the 25th anniversary of the Company's Nasdaq listing and in honor of the occasion, Tamara Lundgren, President & CEO, rang the Opening Bell. 11/06/18 The board of the BIR Ferrous Division has appointed Gregory Schnitzer as new divisional President. 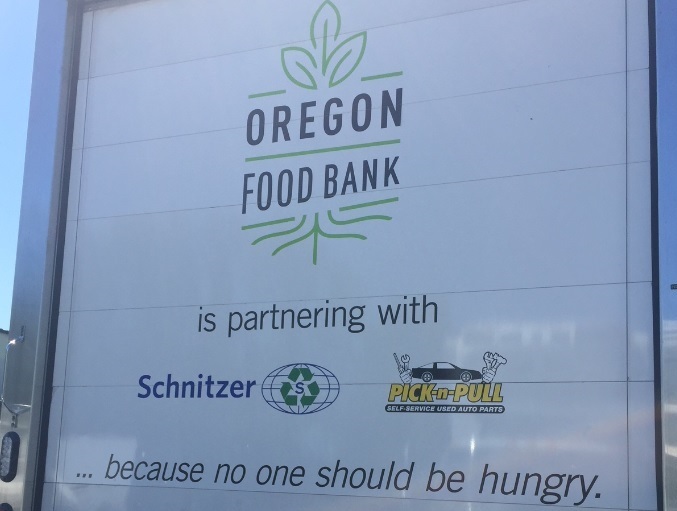 08/06/18 One way Schnitzer Steel is committed to our community is through our partnership with the Oregon Food Bank. We are excited to further our partnership through sponsoring one of the Oregon Food Bank trucks that helps to deliver food donations to those in need in our community. 08/06/14 Pick-n-Pull Previews New Retail Store in Johnston, RI; State and Town Declare August 9th "Pick-n-Pull Day"
02/20/14 What Happens to Guns Seized In Boston? 09/12/13 Safety Training: Does it Pay?